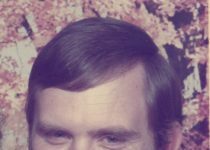 Edward Dale Anstine, 67, passed into eternal rest on Saturday, September 29, 2018 in Moko, Arkansas. Ed was born on June 1, 1951 in West Plains, Missouri to the late Gerald (Pete) Anstine and Rosalie (Crick) Anstine. He is survived by his wife, Kathy of Moko, Arkansas; two sisters, Linda Rose Johnson, West Plains, Missouri, and Patty Webb and husband Rick, West Plains, Missouri; two daughters, Megan Landstine and husband, Ian, of Kingston, Washington and Hannah Hood and husband Austin, of Fort Sumter, South Carolina; one son, Aaron Astine of Cherokee Village, Arkansas; one stepson, Chad Towns and wife Natalie, of Searcy, Arkansas; four grandchildren, Jasmin and Jade Anstine of Salem, Arkansas; Elaina Hood of Fort Sumter, South Carolina, and Colin Atlas Landstine of Kingston, Washington; one brother-in-law, Jim Gaffney of Mountain Home, Arkansas; one nephew, Jeremiah Johnson and wife, Sierena, West Plains, Missouri; two nieces, Tanya Webb, West Plains, Missouri and Tawny Roberts of West Plains, Missouri; two great nieces, Hope Roberts and Faith Roberts, both of West Plains, Missouri, and one great nephew, Chance Roberts, West Plains, Missouri; two uncles, Bob Anstine and wife Sue, West Plains, Missouri and Don Anstine and wife, Francis, Springfield, Missouri. 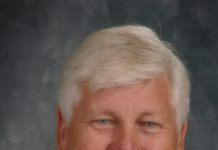 Ed graduated from West Plains High School in 1969. Ed is an Army Veteran, having served in Vietnam from 1971 to 1973. He worked for many years as an accomplished carpenter. 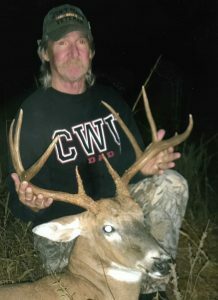 Ed was an avid deer and turkey hunter. His love of nature and family spilled over into everything he touched. He lovingly built the family home for his wife Kathy. He never met a stranger and had a way of making everybody laugh. His family and friends were of utmost importance to him. Ed was baptized at the First Assembly of God Church in West Plains, Missouri. He was a good honest, christian man. 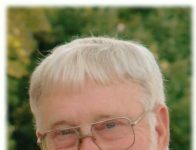 Visitation will be held from 6:00 to 8:00 p.m. on Wednesday, October 3, 2018 at Carter Funeral Home Chapel, 1316 Porter Wagoner Boulevard in West Plains, Missouri. Graveside services for Ed Anstine will be held Thursday, October 4, 2018 at 2:00 p.m. at Homeland Cemetery, Howell County, Missouri, under the direction of Carter Funeral Home, Inc., West Plains. Military rites will be conducted by the West Plains Honor Guard and the Missouri Veterans Program. Previous articleRush 24/7 Morning Update: Throw In!